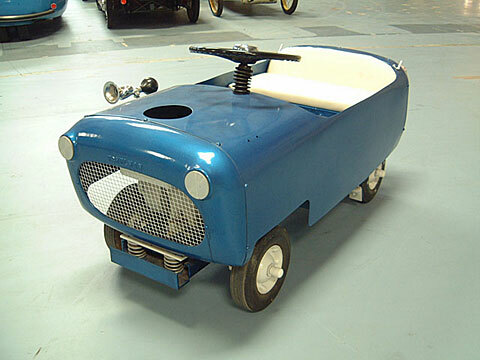 This is an example of the one-passenger 3 hp adult models, which used the same body as the Child's Sport Car, but with a stronger engine and working lights. Colors offered on this model were blue or yellow with contrasting interior. Weight: 225 lb Electrics: None 4 Wheels: 10 x 2.75"